Forums » General Discussion » Stereo » Turntable and stylus recommendation. #387830 - 01/06/13 05:23 PM Turntable and stylus recommendation. Since I haven't looked at turntables since the 70's, I'd like a recommendation from somebody that knows what an excellent variety is today. In the 70's I had a Technics turntable with a Shure v15 type 3 stylus. I guess I better put a maximum dollar amount on it. Lets say, no more than $1000, if possible. I wonder if the 'Clearaudio Statement Turntable' for $170,000 would reproduce all of the clicks, pops, needle surface noise and static just like my old Dual TT from the 1970s so capably did. What would a disc cleaning machine (remember those?) from that company would be worth? I was good at keeping my vinyl clean back then. Seems to always sound good. Sometimes I would get get one that has improperly recorded, and came with sound problems. I remember one produced a scratch sound in one spot for the entire side played with no physical scratch appearance. I read somewhere today that since fewer are made, the discs are about twice as heavy as before, made with better materials, and more care is taken when produced. On that link, I'm thinking one on page 2 in the $800 to $1300 price range would probably be what I'd be looking for. I got back into vinyl about 6 months ago. I broke out my pioneer turntable from my youth (pl630) . Over time i upgraded the cartridge and the last one i bought was a grado reference series. I retired that table and bought a Music Hall MMF 7.1 that came with the mojo ( made by ortofon )cartridge. This is one quiet cartridge ,nary a tic or pop and the imaging and separation is first rate. I am also using a project tube box se II phono preamp . A lot of the new albums i have bought are pressed on 180 gram vinyl and often sold as 2 disc set giving more room to put the music on. Vinyl is something that is truly an enjoyable experience. The music hall uses projects carbon fiber arm so, the project tables are very favorably reviewed. The VPI traveler is also a great American made entry level turntable that i had considered. Just don't forget to allow funds for a phono preamp , the ones built in to receivers these days are not the greatest. BTW the guy i bought my TT from absolutely kills the prices that needle doctor charges. Mine came in 300 cheaper than needle doctor. Talk to wally at underwood hifi he will save you a lot of cash. 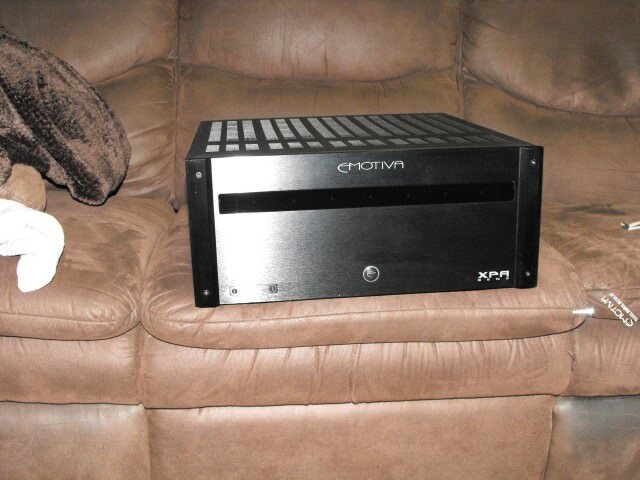 Just don't forget to allow funds for a phono preamp , the ones built in to receivers these days are not the greatest. First I'd heard that comment. I'd probably try the one built into the SC-67 first to see how I liked it. What's to be gained by getting another phono preamp? I was afraid you would ask that lol. I am not good at describing what i hear but i do know that its not an important feature as far as av receiver makers are concerned and moving to a separate unit was a huge improvement in the sound reproduction chain. Once i got back into vinyl i started hanging at www.vinylengine.com , the info there is overwhelming and lots of guys who are absolute experts on everything vinyl. BTW i though you had a denon receiver. I have a denon avr 3311ci and a Yamaha aventage RX=A1000 and neither has a decent phone stage,but hey give it try and then you will have a baseline for an upgrade. Thanks for the info. It'll give me something to research about for a while. The turntable will probably be down the food chain so looking at probably 1 to 2 years before actually getting one.